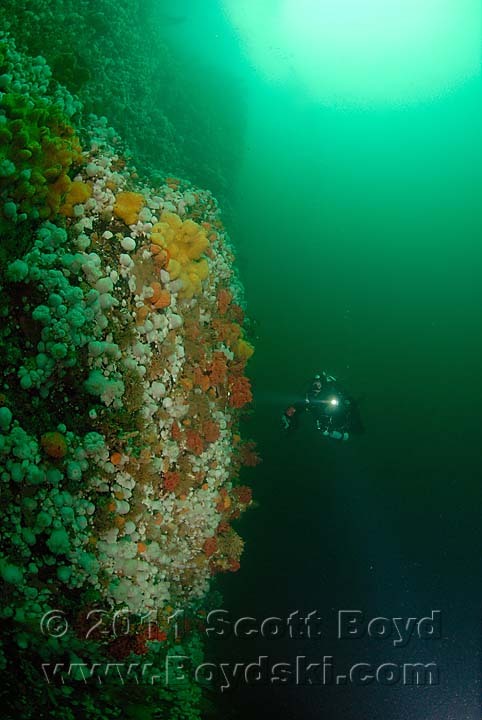 Diver explores the impressive structure of Browning Pass Wall. Brick Martin explores the impressive structure of Browning Pass Wall. Browning Pass, North Vancouver Island, B.C. Canada.